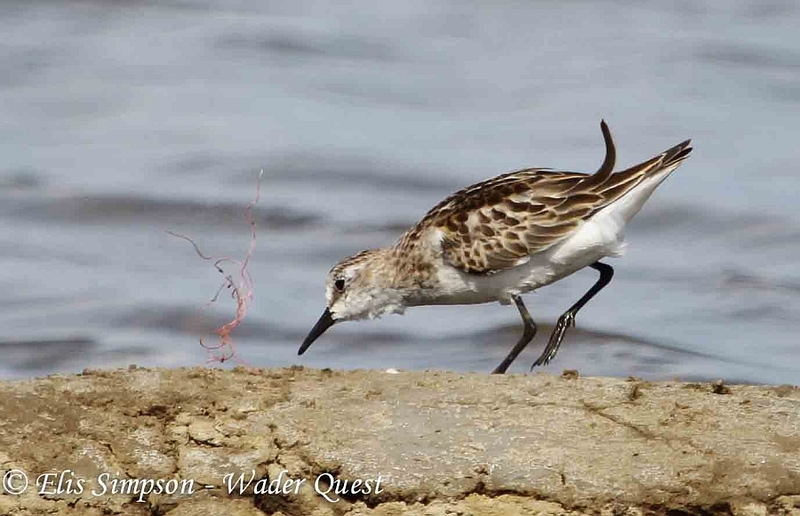 I was perusing the inspirational Wader Quest blog the other day and came across this post about an odd stint. 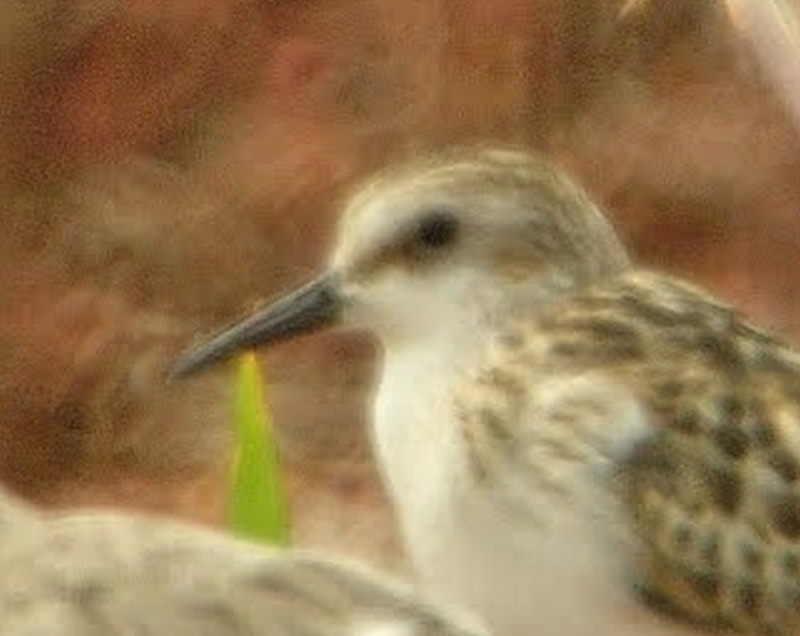 Rick and Elis Simpson noticed this bird whilst on a visit to Pak Thale to see the bird which is the focus of their endeavours – Spoon-billed Sandpiper. Their fund-rasing efforts will help toward financing the captive-breeding programme of this critically endangered species at WWT UK. 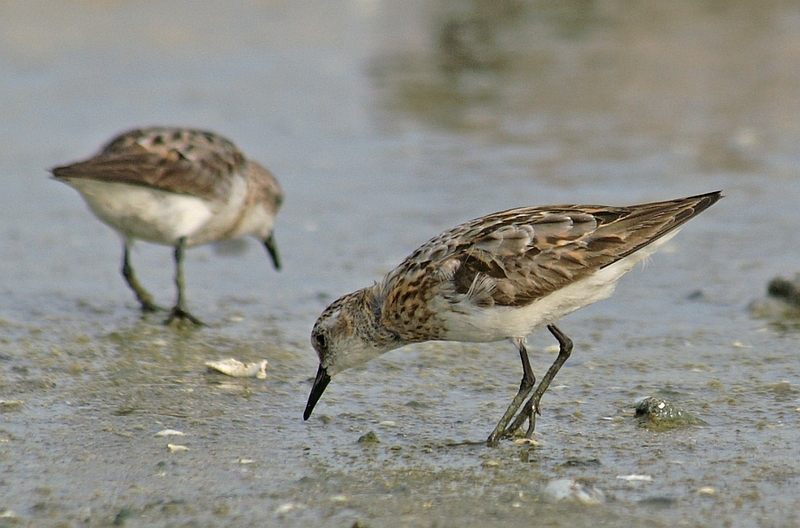 Details of how you can contribute to this thoroughly worthwhile effort are here: http://www.justgiving.com/waderquest. Anyway, back to the stint! With Rick and Elis’s permission, I’m reproducing their pics here, toegether with a few of my own. The Pak Thale stint shows all the features of Little noted above. Red-necked has a longer, slenderer body, flatter back profile, larger, squarer head, thicker and shorter-looking neck, shorter tibia, thicker, more tubular, straighter bill. Check the structural similarities and differences between the adult Little (top) and the juv Red-necked (bottom) compared with the Pak Thale bird, especially the leg length, body shape and head/neck proportions. Scapulars and coverts evenly dark-centred, pale-fringed . 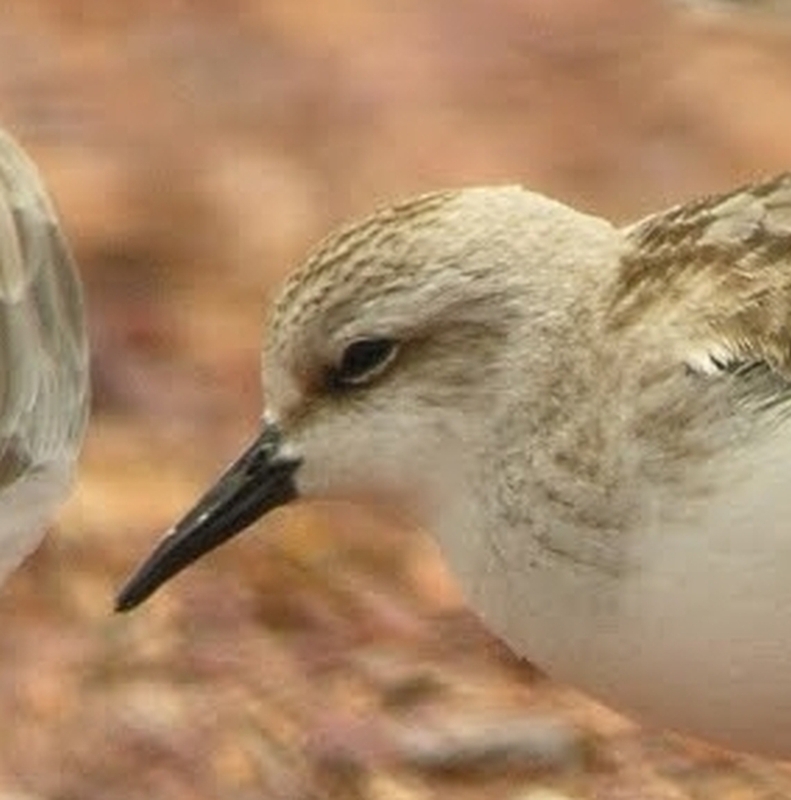 Red-necked tend to have a dark subterminal spot with pale base (lower scapulars) and rather bland, grey-centred, pale fringed coverts. Taking into account that this is a worn individual, what can be seen of the coverts (especially the lessers) and tertials – dark centres contrasting strongly with the remains of pale edges – fits Little, and is at odds with identification as Red-necked. 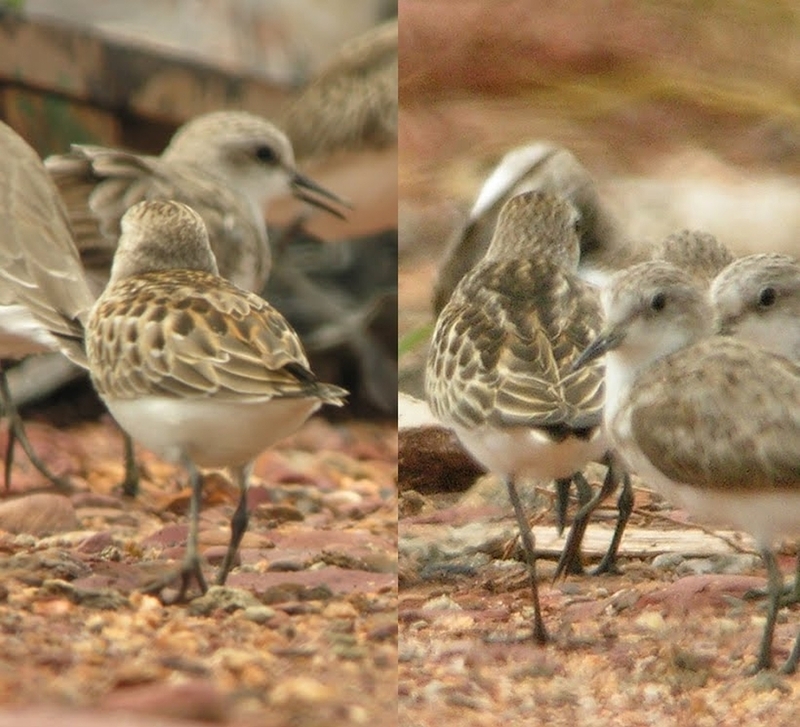 Compare the coverts and tertials of the fresh juv Little (top) and the worn juv Red-necked (bottom) with the Pak Thale bird (centre). Compare the lower scapulars of the Pak Thale bird (top) with the juv Red-necked (bottom) and the juv Little further up the post. On the Pak Thale bird, the apparent pattern of the lower scapulars is slightly confused by the exposed bases, which one would expect to be pale anyway. If we imagine how the lower scaps would look if they were covered by unmoulted upper scaps, the black is far too intense and extensive for Red-necked in my view. At best, the darker marking on the lower scaps on Red-necked tends to coalesce around the tip of the shaft, forming a teardrop shape. 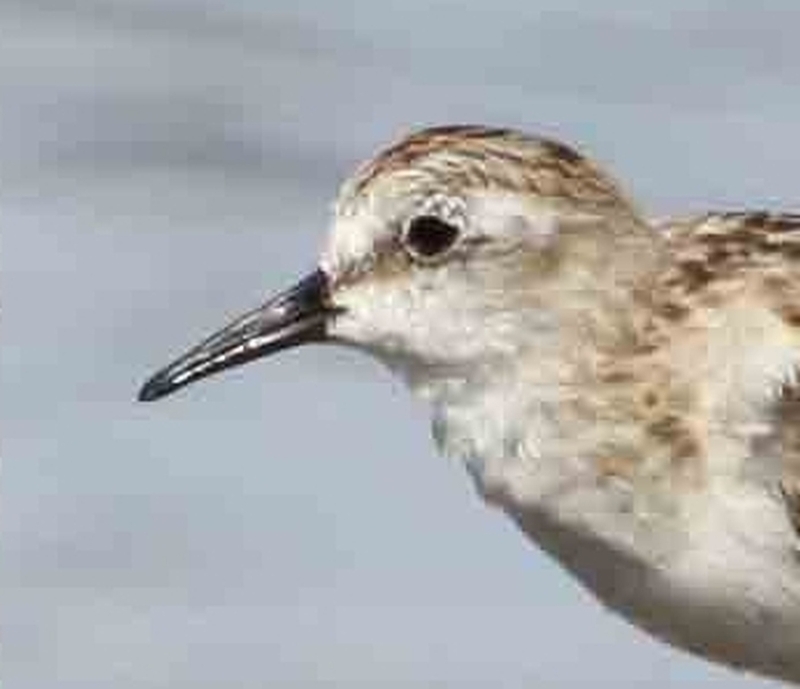 Note how dark the mantle of the Little Stint is (and how surprisingly unobvious the pale mantle lines are, even on this relatively fresh bird) compared to Red-necked. Note also the tertial pattern of both and compare with the Pak Thale bird. Allowing for the fact that the Pak Thale bird is worn and has lost some juv body feathers, the streaking at the breast sides is still too heavy and distinct for Red-necked, and is a better fit for a moulting juv Little. 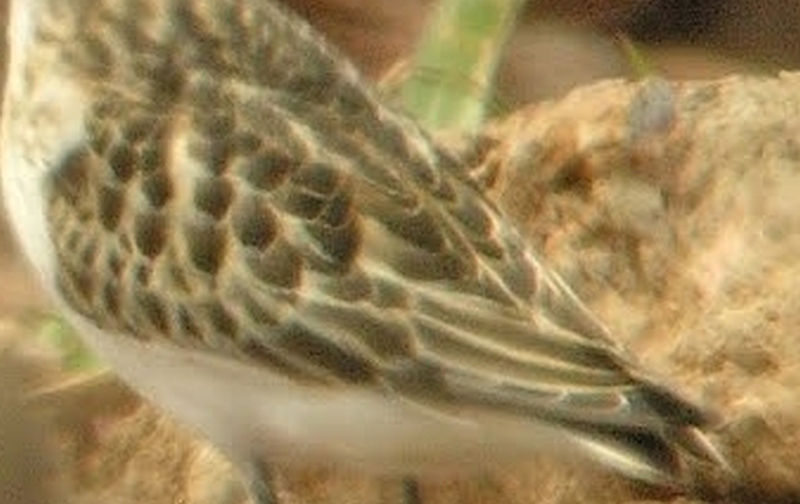 Compare the breast-side streaking and head pattern of the juv Little (top) and juv Red-necked (bottom) with the Pak Thale bird (centre). The Pak Thale stint is is a ‘slam-dunk’ Little on all counts for me. How good a record is this? 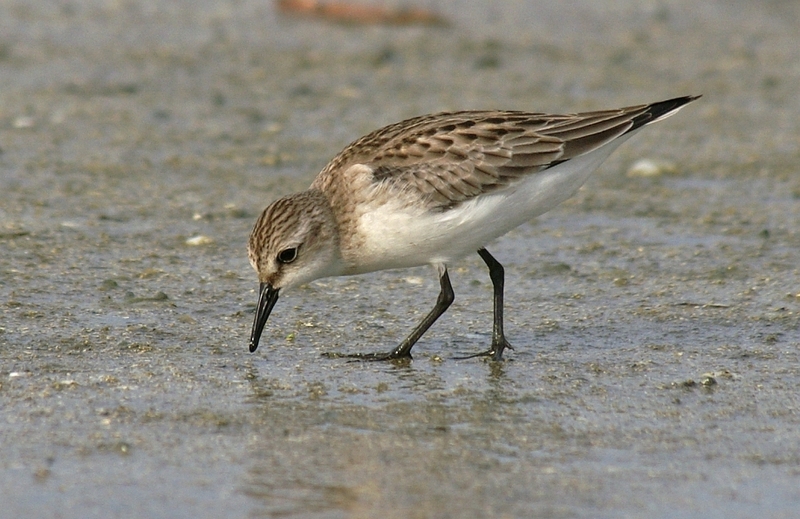 Little Stints are much rarer than Red-neckeds in Thailand, but with increasing awareness of field characters and greater quality of photographic recording, records are on the increase, and the species is probably annual in small numbers. Elis’s uncropped images can be seen here, while my images originally appeared here, here and here. Finally, if you haven’t already, go check out Rick and Elis’s blog and send them a donation, small or large, it all helps. You know it makes sense! P.S. 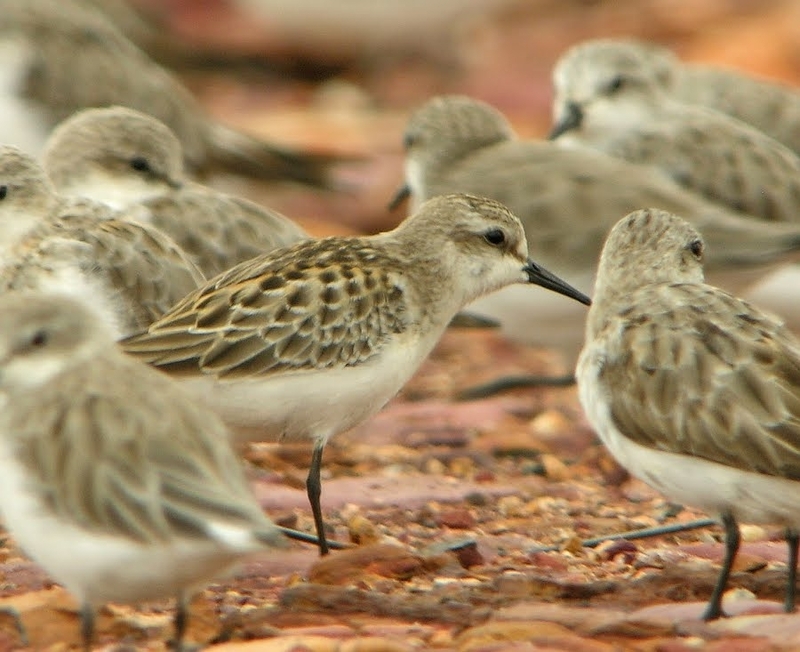 While we’re on the topic of stint id., there’s a post here that’s well worth a read. 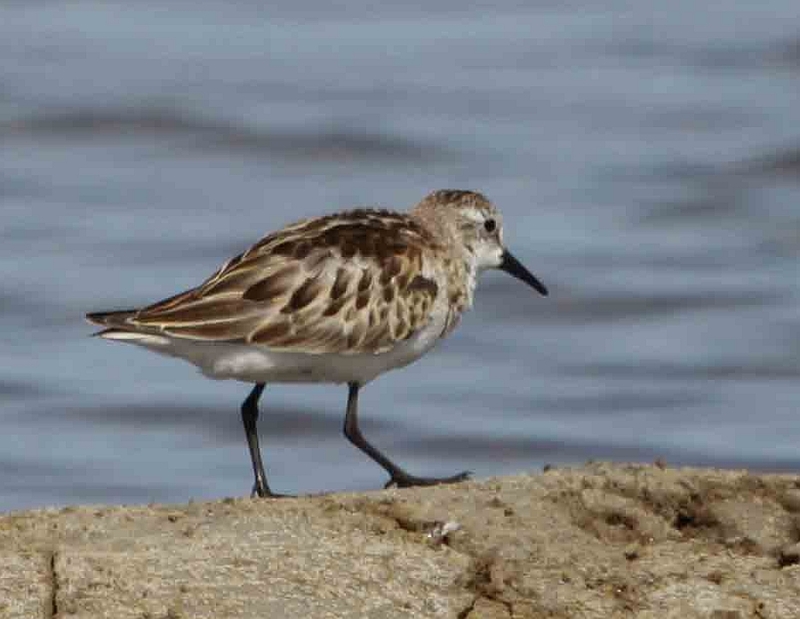 It proposes that there’s a hitherto unnoticed feature which separates Nearctic ‘peeps’ from Palearctic stints. Very convenient if it proves to be consistently true! This entry was posted in Uncategorized and tagged Pak Thale, stint, Wader Quest by digdeep1962. Bookmark the permalink.